A fast-growing Shropshire e-commerce company has signed another important distribution deal. 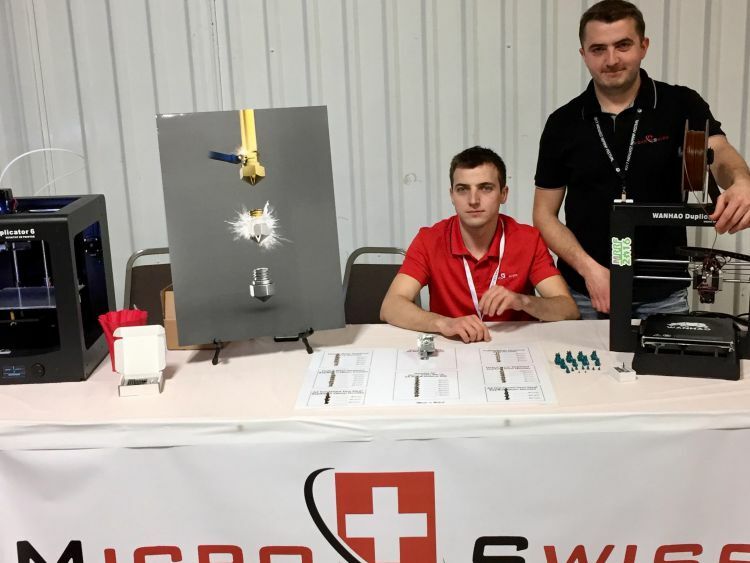 3D Printz Limited has been appointed as an official UK distributor for Micro Swiss LLC, based in America’s Mid West, which makes replacement nozzles and hot ends kits for 3D printers. It is the latest in a series of partnerships for the Telford-based company, which was a finalist in this year’s Shropshire Chamber Business Awards. Micro Swiss LLC is a family-owned business which has its own purpose-built manufacturing plant facility in Minnesota. Its product range, including high quality TwinClad XT plated brass nozzles and A2 hardened steel nozzles, are suitable for almost all 3D printers. Director Alex Radysyuk said: "We are very pleased to have a new distributor in the UK, and are thrilled to be working with 3D Printz Ltd who are building up a great reputation for providing high quality products with great customer service. “With this new deal, we hope that many more users of 3D printers can get the benefit of using Micro Swiss' industry-leading products." The 3D Printz team added: “We are very happy to be working with Micro Swiss, who have a global brand in the 3D printing world. Their products now complement our existing range, helping us to become the go-to business for all 3D printing needs." The goal of the e-commerce business is to produce high-quality 3D print filament at a sensible price – and the company has already built up some key partnerships. They include a link-up with Thought3D Limited, which offers a non-toxic and odourless adhesive solution, Magigoo, to both hobbyists and professionals. Products supplied by 3D Printz Limited have already been used to make a range of products around the world, including model aircraft, TV props and collapsible VR Domes which are now operating in Saudi Arabia.